Pretty much every time I walked into my Grandma Jesch’s home as a child, there was a newly-baked cake waiting for me. And I stopped by to visit at least every other day. I guess that’s likely the source of my infatuation with cake. I love them. I love every kind of cake. I love big decadent cakes with billowing frosting. And tarts loaded with pastry cream and topped with ripe summer berries, make me swoon. But sometimes…sometimes I want a simple cake. A snacking cake. Like the ones my Grandma Jesch made. Preheat the oven to 350°F. Place rack in the center of oven. Generously spray the inside of a 10-inch Bundt pan with a nonstick cooking spray; or butter it well, flour it, and tap out any excess. In the bowl of a stand mixer fitted with the paddle attachment, beat the egg yolks until they are pale and light; slowly pour in the sugar until it is completely incorporated. Add the yogurt and olive oil and mix until thoroughly combined. Add the orange zest and vanilla, mix until just incorporated. Add the flour mixture to the wet ingredients in two parts, beating after each addition until just combined (it should only take 10 seconds). Scrape down the bowl and beat again for 5 seconds. In another large bowl, beat the egg whites until stiff peaks form. Scoop 1 cup of the egg whites into the batter. Use a rubber spatula to gently fold them in. After about 30 seconds of folding, add the remaining egg whites and gently fold until they are almost completely combined. Do not rush this process. Pour the batter into the prepared pan and bake for 40-50 minute, rotating the pan half way through the baking time, or bake until a toothpick inserted into the center comes out clean. Transfer the pan to a wire rack to cool for 10-15 minutes. Gently loosen the sides of the cake from the pan (an offset spatula works well) and turn out onto a rack to cool completely. Dust with confectioners’ sugar right before serving. This cake stores well at room temperature for about 3 days in a tightly covered container. Enjoy! Hi Laurie – Fun to hang out last night at the MN food bloggers event. Just a quick browse through your blog and I’m drooling and starving! You have such beautiful photos. I’m going to have to make this cake and quite a few other recipes of yours! 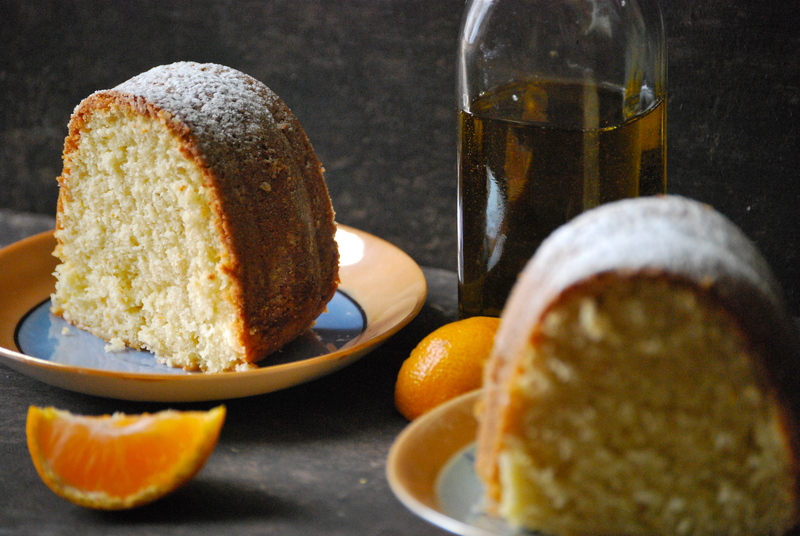 Citrus and olive oil makes for a great combo. And your cake looks so soft and crumbly. Must be delicious! looks really great. love the orange pics. Thank you! They are cheery! mmm! 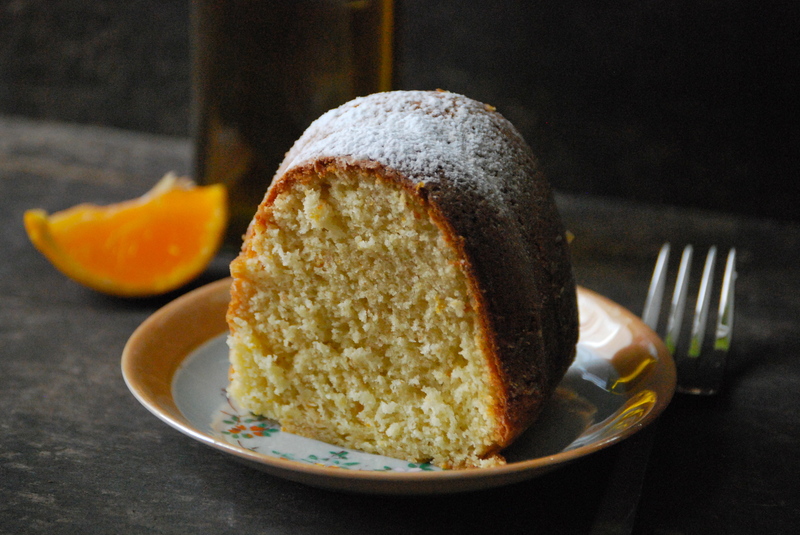 I’ve never done a cake with either citrus or olive oil, but this looks like the place to start. 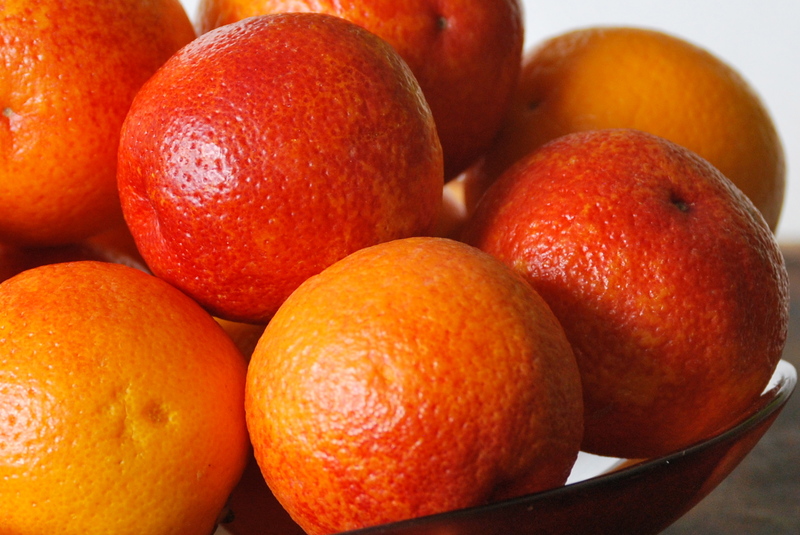 Been downing clementines like it’s my job…would be lovely to do that in cake form! I love that you put yogurt in this recipe and it looks as though there’s a nice bite to the crust. Great lookin cake! Oh my – sounds amazing. Must try this one soon.